There are many sound reasons why you should be on a bike—any sort of bike. It all goes double for a recumbent road bike. Here are just 15 reasons you need to get on one at the earliest opportunity. The recumbent design has a long history. It dates from the same time as the safety bike’s appearance in the 1890s. then strictly speaking you won’t be doing that on a recumbent. Well, the story of the modern form of the modern safety bike centers on the twin back-to-back diamond polygons. Just about anyone with a professional interest in bikes will point to the development of the modern safety bike, popularized as the Rover in 1885 as the end of bike evolution. The end of bike history. That’s why you have continual declarations that bicycle design has never overcome this design impasse. In 10 years attending the Taipei Cycle Show, I have seen lots of effort go into trying to get beyond this design limitation. The “Sorena” – One of many attempts to get away from the twin diamond shape. However, the bike industry overall completely overlooks the existence of recumbent bikes from the getgo. As early as 1895, recumbent road bikes made an appearance at a Geneva Bicycle Show. A recumbent craze of sorts is recorded in the mid 1930s. This first enthusiastic embrace of recumbents came about through the work of Charles Mochet. A very well-preserved example of Mochet’s recumbent. Great footage of early recumbent road bikes being ridden in this video. For further info, check out the Bike Route site and the Bike Quarterly companion site. Ok, besides celebrating the correction of historical bias, there are plenty of—let’s face it—more practical reasons for embracing recumbent bikes. Let’s check some of them out. Late in the afternoon, early summer. I’m riding an upright road bike through narrow roads on the back hills. I’ve done this ride 100s of times before. The final descent begins with a gentle incline . . . right before a plunge down a seriously twisted stretch of road. I never meet cars coming up . . . today’s the day though. A car right in front; barely enough room to get past. I am creeping along . . . squeeze past on the right . . . turn slightly left, around behind the car to get away from the edge and the storm-water drain. But now I’m too far to the left and the storm drain on that side. I correct by turning back to the right. Gravity takes hold, gently at first—it quickly turns violent. Just a slight miscalculation . . . along with being clipped in the pedal on that side . . . can’t free that foot in time to put it down . . . I topple over to the left—the downward side of the slope. My thigh impacts the pave . . . heavily. No time to even put a hand out to absorb some impact or even control the impact in some way. Putting your hand/arm in harms way like that will frequently cause a snapped clavicle (collarbone). That’s better than a broken leg (had a snapped . . . well, shattered . . . clavicle once a few years ago) I can assure you. The 1.5 meter vertical fall snaps the femur clean through right at the “femur neck”. Somewhat of a freak accident, granted. But if this was a recumbent bike, the leg comes down immediately and/or the hand goes out. Maybe . . . just maybe, some minor injuries . . . Certainly NO MAJOR TRAUMA and two operations—one to insert the rod; another to remove it a year later. Is Speed a Key Advantage? You see, the issue with speed is a little misunderstood. You will not fail to notice how easy it can be to get up a head of steam on a recumbent. Here’s the cheeky Milos Juriga eating up the kms with ease. It’s not long before he cruises up behind a paceline of committed racers. The startled glance over the shoulder of the cyclist out front says it all. Recumbent road bikes are famously aerodynamic. When you are riding a conventional diamond-frame upright, the number one resistance factor is your body pushing an envelope of air ahead. Much ado has been made of “aero” frames in the last few years. Designs are carefully studied and measured in air tunnel testing to continually reduce wind resistance. The key concept here is efficiency. Professor Ian Boal has studied the social context in which bicycle history has unfolded. The paved—cobble pave alongside bitumen—road was the precondition for bicycle development and popularization. 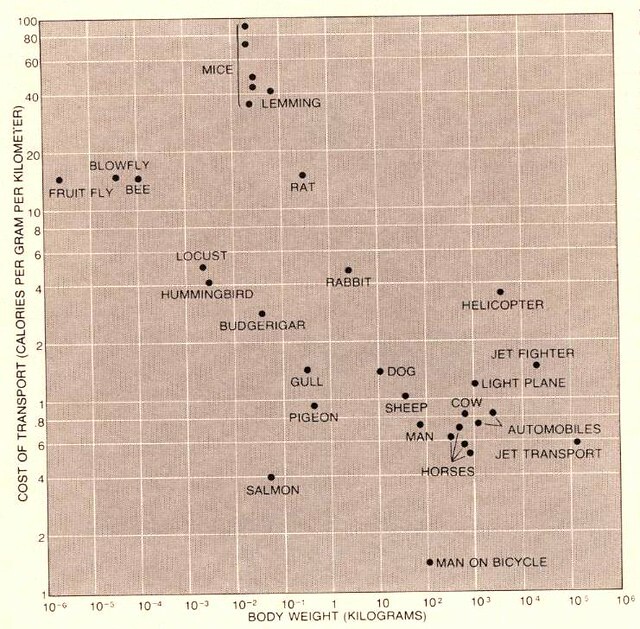 The apparently self-evident truth here is that the bicycle is more efficient than creatures in the natural world . . . creatures perfectly crafted by evolution over millions of years. But Professor Boal himself had a sudden realization about this. Such massive efficiency is only due to the paved road. Super-duper efficiency is made possible mainly by riding on pavement and the odd unpaved, but hard, surface. Having said this, and all things being equal, aerodynamics makes the crucial difference. And this is the recumbent unbeatable advantage. The advantage results from he rider’s much more aerodynamic position on a a recumbent bike. Air flows over the torso, rather than slamming right into it. Or rather, a minimal cushion of air is being pushed along in front. Here’s an example of what’s probably the maximum aerodynamic profile—don’t try this at home … or anywhere for that matter! Speed is an expression of efficiency. And there is no more efficient machine on the pave then the modern recumbent. Several body parts come in for specific punishment riding an upright bicycle with a conventional saddle. Saddle sores are one thing. Saddle chafing will send you scrambling for cream relief soon enough. As far as men are concerned, the perineum is the part in question. Pain results from the development of a chronic injury over time. But not only pain. The blood vessels and nerves are compacted due to almost continuous down pressure. And this is linked to ED or Erectile Disfunction. Oh . . . and you can have bladder problems as well. The problem is the traditional long and narrow bike seat. This is where the pressure on the perineum comes from. You have to do a lot of cycling to experience a problem of this magnitude though. The point is: sitting back in the close-to-armchair comfort of your recumbent bike, you’ll NEVER be any DANGER from Erectile Disfunction. There are several elements that go into ensuring your upright bike fits well. Saddle/Seat post height needs to be just right. If you’ve got back pain, that may well be the problem. If you you don’t get these right then you’re also going to be having neck and arm pains. Riding a recumbent, you don’t need to pay any of these no never mind! It comes down to saddle vs seat. No saddles on recumbents—just comfy seats. Now, when climbing on an upright you have a weight advantage. You have gravity to assist push on the downstroke. That will get you up the hill as fast as your fitness and energy levels allow. Otherwise, you’re on the saddle. The rub? Well . . . literally “the rub”. Comfort is not something we’re looking forward to here. With a recumbent you don’t have the “drive”—courtesy of gravity—advantage. And on a very steep slope, there may be some front wheel slip if you’re riding a front wheel drive. Nonethess, the climbing experience is better. If you are graduating from a mountain bike, it’s the same experience. You get up just about any slope on your MTB granny ring. Just spin away at maximum revolutions and you always get there. Settle in on your recumbent’s granny ring, sit back in close-to-armchair-comfort, keep your head up, enjoy the view. When you do pass them, they’ll be scrambling to catch you to ask where they can them some of that recumbent goodness. I should, of course, mention “electric”. Having a mid-drive motor installed at the crank will be standard a lot sooner than later. Just dial-in your level of assist and you’ll be up the hill in no time. Bend It Cycling has tips on how to become a better climber prior to you going electric. Right now ebikes are the revolution . . . once people realize the unbeatable comfort factor, put together with ebikes, this vision will certainly come to pass. When that happens, then you’ll have to worry about theft. But as of right now, you’re in a wave of early adopters. A thief that’s done his homework will know a recumbent bike’s value. But, look, unless he’s going to heft into a truck then it’s game over. He won’t know how to ride it. We know that getting used to recumbent road bikes happens very quickly. But unless a thief has a track record with recumbents, that thief will not be getting onto one quickly at all. They sure won’t have the skills to ride off with it. Sure, it could go in the back of a truck. Probably best to minimize the situations in which you leave your pride and joy unattended in a publicly accessible place. Bikes are good for the environment. Let’s not include recreational cycling here but just focus on commuting. Cycling, say, 5km each way to work would mean some 700kg less greenhouse gas in the atmosphere every year. The follow-on from that, though, is less traffic on the road. Traffic snarls and creeping along at peak-hour puts an unnecessarily enormous chunk of greenhouse gas into the atmosphere every year. If you don’t ride bikes at all you probably knew all this already. was all that stopped you from directly contributing to lowered green-house emissions, now there’s no more excuses. There’s a wide range of options available depending on what type of cycling you’ll be doing. Let’s have a brief look at High Racers, Low Racers and some others. High Racers are higher off the ground than Low Racers. Being higher—and therefore more visible—helps in higher traffic areas. It is important at lower speeds which is likely to be the case when you’re on a steep hill. If this is a concern then a lower profile or even perhaps a Trike—stability to the max—will be the best choice for you. You need to add to this the X-seam factor. Your X-seam is the distance from your lower back to the soles of your feet. You’ll need to be sitting down, legs straight, like you’re going to touch your toes to measure this. A shorter X-seam reading may mean a Low Racer, or smaller wheels is better for you. If you will be riding in higher volume traffic areas or on steep hills, you may want to think twice about these though. You’ll be less visible to drivers. They’re so close to the ground, anyone can climb aboard one. And for the pure speed thrill factor, you need to find a way to have a go on one of these. Be very careful—You may find it addictive . . . Given the slight disadvantage of a Low Racer in higher traffic, a folding low racer offers convenience. Performer’s Vigorous just may be the ticket if going fast and avoiding traffic is required. Fold up your bike, stow your bike in the car, get through traffic or the metropolis to your optimum riding zone. If a High Racer is more your style, then folding versions are also available. Not something you’ll see every day—perhaps ever. It’s the perfect solution for the right set of circumstances though. If you have a dedicated riding partner though, this could be for you. A standard upright setup on the rear. Probably the only issue is deciding who actually gets to ride up front in the comfy zone. So you see there is a good deal of variety waiting for you in the world of recumbents. When I’m thinking about fun—we’ll cover “joy” below—I’m thinking about a two-edged sword. On one hand recumbent road bike riding is a fun activity; no doubt about it. On the other it’s edgy—these things go fast, especially on a descent. What is less often commented about is the anticipation . . . talking about cycling generally here. The crucial fun element of any cycling is just as much in the anticipation as in the ride itself. I don’t know about you but I have to make a hard effort slow myself down prior to a ride. The road beckons—only a cyclist knows the feeling—and you just want to get out there. Not taking care to make sure the water bidon’s full, or the spare tube is stowed is to be resisted by the way. Once you do get out there, the added benefits of riding a recumbent (vs conventional) kick in—the fun factor is magnified several times over. So you’re lying back, kicking back, literally, head up, relaxed, with an easy 180 field of view. That’s just impossible on a conventional bike. OK, if you are on a touring bike of some kind that’s built for comfort and not for speed, then it is less true. But—getting back to the point about saddles vs seats above—you still have your weight bearing straight down on the saddle. You’ll be able to go further in comfort. You’ll see more. You’ll be stopping more often and your portfolio of travel photos will be so much better. So much less is missed by kicking back in the lounge-seat cockpit of the modern recumbent. You want to do right by the environment. You cycle to—or are planning to—cycle to work. Yet, there are several factors preventing you from going ahead. Cycling Weekly has this very handy guide to the whole commute-by-bike thing. So I’ll not rehash the subject here. What they don’t cover so well in the article is sweat. Unless you really pace yourself and match your cycling effort to the weather, getting sweaty and smelly is more than likely. Does your office have facilities where you can shower away a morning’s commute? Probably not . . . and what a hassle anyway. With a recumbent, you can rock on in to work . . . in a suit. Well, probably not the best idea on a summer’s day. Personal hygiene will, still, on balance, be a lot easier to control. gives you the Touring factor. NextStopWhere’s article, the definitive guide to touring on a recumbent road bike, is one you should read in full. The recumbent bike seat effect means greater comfort. Nevertheless, you will experience a little discomfort on really long stretches of riding. But since you are touring and taking full advantage of the recumbent experience, then you’ll be stopping frequently—this won’t be a problem. You won’t be breathing as hard, as fast, going uphill. You can spin your way up the incline at the speed that suits. When you develop the right muscles, you will be climbing the same as if you were on your upright. Go faster downhill with greater safety. 40kmh through the curves . . . no need to brake. Doing long stretches into the wind at any time is hard. Not so hard when you have a low, extremely aerodynamic recumbent bike. You are going to be conserving energy big time. For balance they also go over several caveats that are also worth noting. Well, first of all there’s the purchase of the bike. Although, you’ll find that Performer Recumbent Road Bikes offer the best value for money around—priced extremely competitively, we produce bikes which will give many years of reliable service. Once you’ve got the bike, the benefits then begin to flow. Commuting? Check. Keep the car for getting out of the city to your optimum cycling spot. Save heaps on fuel and maintenance (city stop-start driving is the main source of wear and tear). Health? Check. Save money through the preventative medicine that is cycling. I’ve broken a collarbone and a leg over my time as a cyclist. Despite the injuries, the net benefit of cycling on my health is many times greater than the effects of these temporary setbacks. That was a Recumbent Grin born not only from the joy of a riding a bike that didn’t cause me any aches or pains as previous traditional bikes had, but also a grin from the sheer joy of rolling through the country on two wheels with a good friend. Matt is a convert (refugee??) from upright bikes whose perspective you really need to appreciate in full. A minimum level of exercise every one of us should be doing is 30min, 3x per week. You should raise a slight sweat and be able to sustain a conversation with a buddy. Trouble is, you have to really get the bike “stoke” or bug into you. Without this, getting that exercise is a hard slog. That’s where the Pure Joy kicks in. Getting on that recumbent and getting out for a spin is a lot easier. The whole experience is just better. Hard to write about this . . . get out there as soon as you can to directly experience it for yourself. 15 Reasons. Did I miss anything? No doubt. There’s always more to say. You will wonder why it took you so long!